Overall survival curves for people completely buried in avalanches in Canada (n = 301) and Switzerland (n = 946) from Oct. 1, 1980, to Sept. 30, 2005, by duration of burial (Dümbgen comparison: p = 0.001). 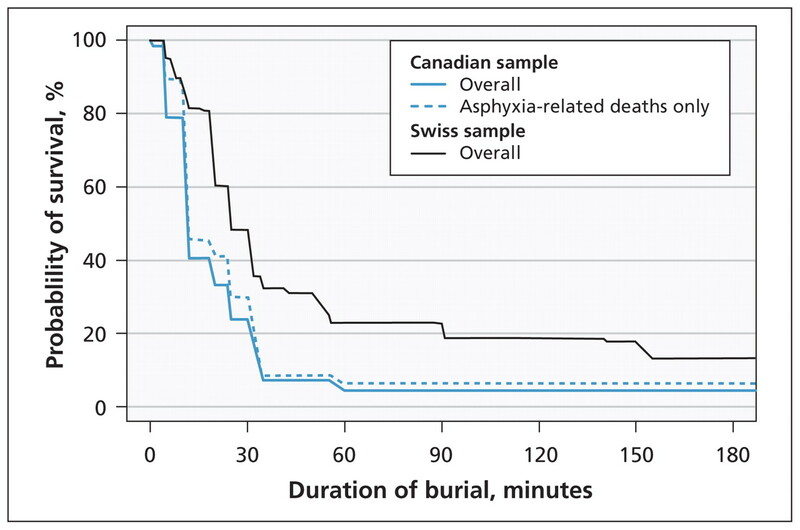 The dotted line represents the Canadian survival curve including only asphyxia-related deaths (n = 255). 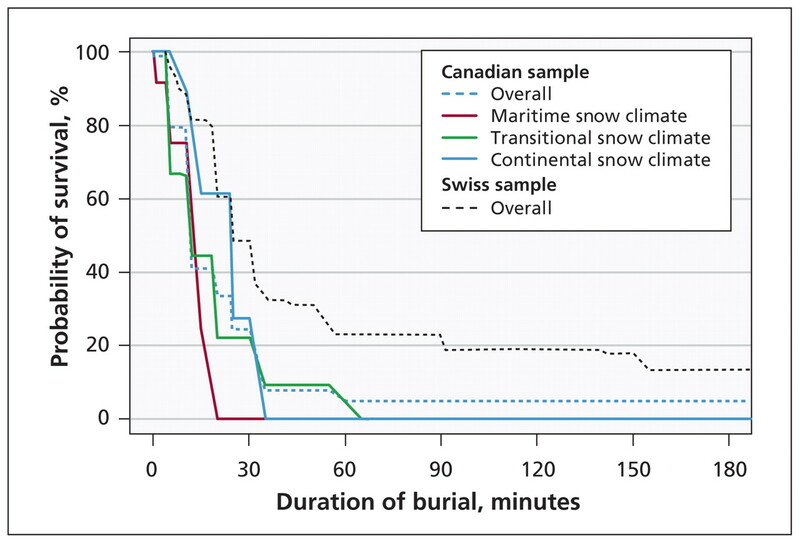 Survival curves in Canada by snow climate (maritime, n = 36; transitional, n = 132; and continental, n = 101) (Dümbgen comparison of continental v. transitional: p = 0.017; continental v. maritime: p = 0.008; transitional v. maritime: p = 0.33). Overall survival curves for the Canadian and Swiss samples (dotted lines) are shown for comparison.